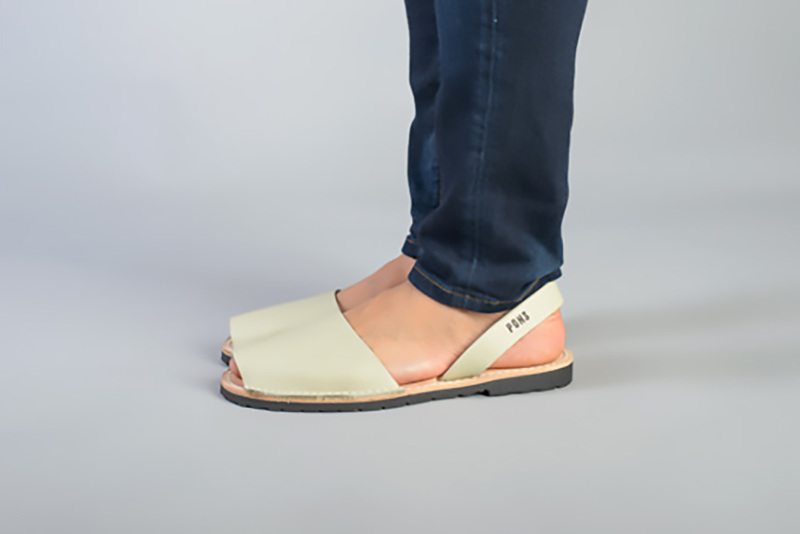 Similar to our Sand color but with slight undertone of a cool green, our handmade women's Classic Pons in Bamboo are an easily paired neutral to slip on and go. Perfect for skinny jeans, shorts or your favorite sundress, this pair of avarcas is sure to become a wardrobe favorite. Pons sandals are made on the Spanish island of Menorca with quality full-grain leather and a lightweight, durable rubber sole.